IncuBus Ventures started in 2014, when the founders Rishi & George bought a double decker bus and turned it into an office space to run incubator and accelerator programmes from. As the team and programmes grew, the bus became host to many startups and corporates who hired the London bus for a range of activities. We now work with startups to help them grow visibility and engage with their target audiences using the bus. Grasshopper used the bus to advertise around London for 2 weeks, accompanied by an online marketing campaign which led a 30% increase in web visits. The bus by its nature offers great visibility wherever it goes. The banners on the side of the bus and most of the windows are available to create strong visual displays capturing the attention of your target market. There’s also the option to use the bus to host pop ups along proposed routes to further engage potential along proposed routes to further engage potential customers and boost ROI. Routes are fully customisable to ensure exposure to the right audience at the right time. Use the bus as a roaming pop up location. Most startups and SME's have a consumer or client base spread across multiple locations. The bus allows clients to build a roadshow that align with the companies growth strategy. The bus draws a large pull wherever it stops, bringing foot traffic directly to you. Clients can use the bus to demo products or services, host workshops or even create experiences. We work with clients to find suitable locations to use the bus as a pop up store or demo space. Pop ups allow for flexibility, lower cost and greater visibility. Pop ups drive engagement and improve brand recognition. The space allows for startups and SME's to converse with consumers and educate them on products and services in an interactive way. Having two floors plus space in front of the bus allows startups to host multiple activities at once. Areas can be used for demos, workshops, education and meetings all at the same time. Get in touch to learn more about hosting your own pop up on the bus! Since launching in 2014 we have run over 12 programmes at various stages of a startups journey. These include industry focused and industry agnostic incubators, accelerators and post accelerator programmes. Through this experience the team have decided to focus on post accelerator programmes for B2B startups looking to find product market fit with corporate clients in various verticals. 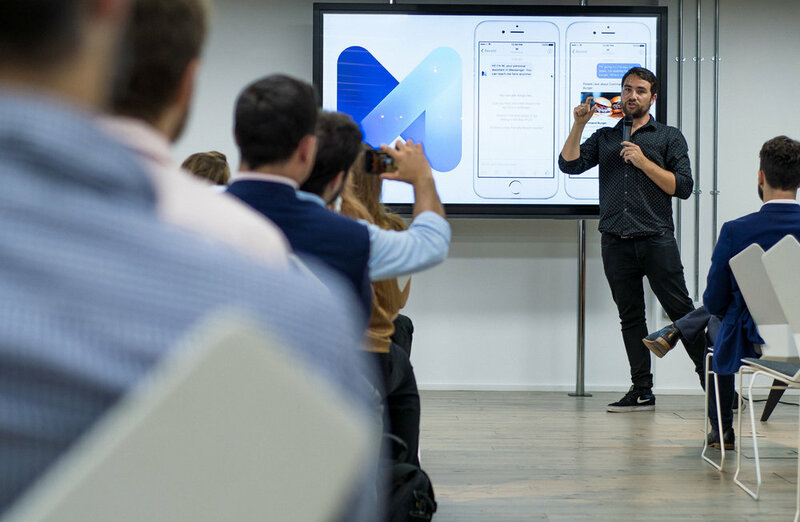 These are now run under the company Momentum London, founded by the founders of IncuBus Ventures.